Living Colour! 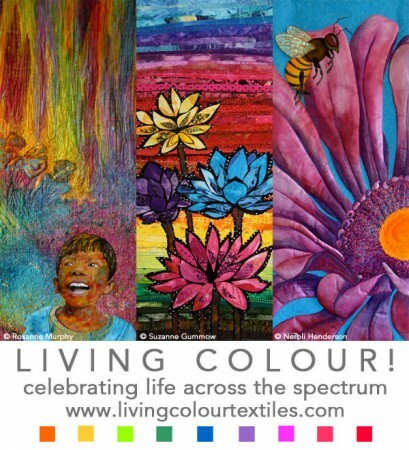 is travelling textile art exhibition curated by Brenda Gael Smith comprised of 32 vibrant works celebrating life across the spectrum. The exhibition tour is now over but you can view the exhibition online in the Living Colour! Gallery. A 36-page catalogue is available for purchase too.